Screens is an excellent VNC client for your Mac. Use Screens in fullscreen mode to make it feel your remote computer is right there in front of you. 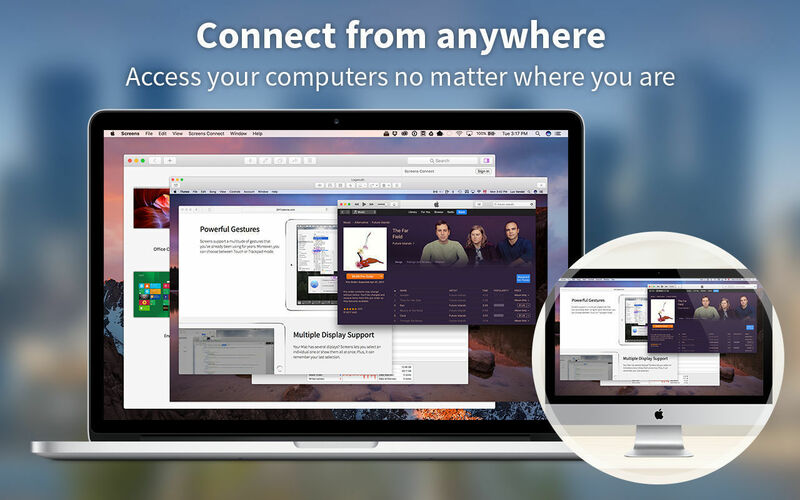 Easy to Use: Screens is an easy, user-friendly VNC client for Mac. Multi-Touch: Screens supports many of the multi-touch features–such as pinch and navigation–you’re already used to on your trackpad. Works Anywhere: Through Wi-Fi or a 3G network. Screens 3.6.12 – Access your computer remotely. Screens 3.7.1 – Access your computer remotely.